Scottish Presbyterianism planted her feet in American soil under the missionary efforts of Rev. Francis Makemie (the "father of American Presbyterianism"). Rev. Makemie, an Ulster Scot, came to America from Ireland in 1683, long after the French Huguenots settled in South Carolina in 1562. He helped develop a presbytery in Philadelphia in 1704. He began missionary activities in New York with Rev. John Hampton in 1707. In 1770, Presbyterian missionaries Roe and Close from the Synod of New York and Philadelphia visited what is now known as Abbeville and Greenwood. They had come at the request of General Andrew Pickens, Patrick Calhoun (father of John C. Calhoun), Mr. Noble (father of SC Governor Noble), and Mr. Wardlaw (father of Judge Wardlaw). The men had desired to start church plants in Donalds, Greenville and Upper Longcane. 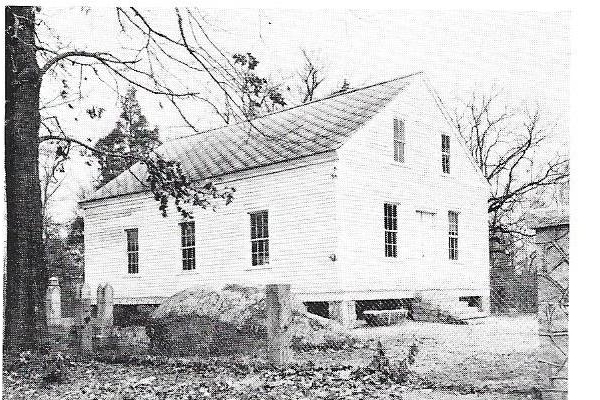 A church was formed just northeast of present day Greenwood called Rocky Creek Presbyterian church, with the first elder installed in 1770. The Rev. James Templeton was the first supply minister. He was a graduate of Nassan Hall and licensed by Hannover Presbytery on October 26th in 1775. The Rev. James Creswell came from England in 1727 and was Rock's second supply minister. 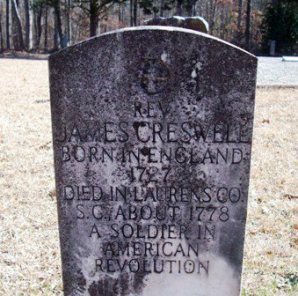 He fought in the Revolutionary War and helped organize Rock Church in 1770. 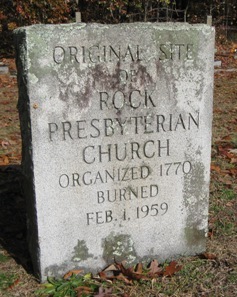 He died in 1778 and is buried at the historic Rock Church cemetery. 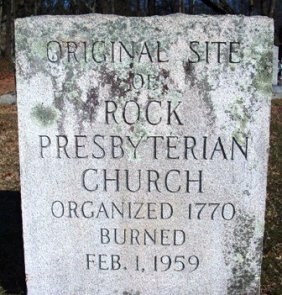 In 1785, Rock Church and Cambridge Presbyterian (Ninety-six) both were supplied by the Rev. James Templeton for six months. On October 18th, 1788, the Rev. John Springer supplied the church briefly before taking a call to Washington, Georgia. On February 1, 1959, the historic church burned to the ground with only one communion table and bench (on display in the church building) and three pews being saved. Bob McCord, a charter member and Deacon Emeritus, once said that the only guess people had at the time as to the source of the fire was an old gas heater that was faulty. Church services continued in the refurbished school house as the young flock began plans for a new building. The men of the church gathered their resources and organized several committees to bring the vision to fruition-- and God was pleased to see it through! Ruling Elder W. L. Bross designed the structure, as well as the future Education Building. Under the leadership of the Rev. CJ Hammett, with much prayer and much faith, a new edifice was constructed of blue granite after the historic model of Christian churches (particularly Scottish Presbyterian). The new architecture reflected the mood of the new liturgical renewal movement on the 1960's. In the heat of theological crises in the Southern Presbyterian Church, US, a minority left the church and formed the National Presbyterian Church in 1973; the name was changed the following year to the Presbyterian Church in America. 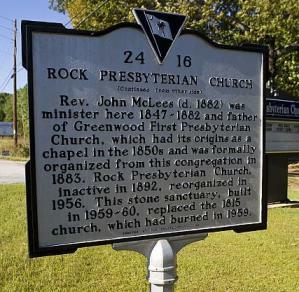 The South Carolina Presbytery dismissed Rock Church August 1, 1974 with a congregation of 159. In 1998, due to unfortunate circumstances, Rock Church voted to leave the PCA and was dismissed with property in 1999. Rock remained independent for ten years. Since then, the congregation has maintained a loyal flock, committed to seeing this historic church stay strong and continue regular worship services. 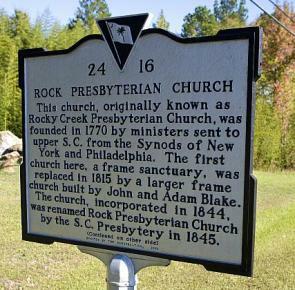 On June 22, 2008, Rock Church voted unanimously to join with Mid-Atlantic Presbytery of the Evangelical Presbyterian Church. The EPC formed in 1981 and dissolved association with the former United Presbyterian Church, USA (the UPC and PCUS merged in 1983 to form the Presbyterian Church, USA). In the Fall 2015, the Evangelical Presbyterian Church gifted the Rock Presbyterian Church building and grounds to a majority of Westminster Prebyterian Church members. The membership, the Session, and the two pastors, Rev. Dr. Chris Leonard and the Rev. Debby Plumstead Marshall are now included in the ECO Presbytery of South Carolina. A section of the cemetery contains the graves of African American members of Rock Presbyterian Church. Session records record 111 White and 57 Colored members in 1862. The earliest graves are those of slaves and freedmen. The latest graves in this section date to the 1950s. The History subcommittee of the Building and Grounds Ministry Team is photographing and recording the epitaphs on the monuments in the historic Rock Presbyterian Church Cemetery. A cemetery management plan will guide care and preservation of the cemetery. Special care is needed to control vegetation and preserve delicate stone monuments. An initial assessment found that most of the stones are in very good condition. Although many are covered in mold or lichen and may be difficult to read, they have been protected by this covering. Cleaning using chemicals or abrasives can damage stones and remove this protecting layer. One monument was also found to be recently broken, probably by someone pushing or leaning against it. The cemetery management plan will include how we will care for the monuments, including any cleaning, repair or restoration. A mirror was used to cast light on hard to read monuments so that they could be photographed. Photographs have now been made of all monuments and will be placed on the Find A Grave website.